I avoid the “r” word. Or, to borrow from the farewell column the legendary pundit and language maven William Safire wrote for The New York Times, “Never Retire”. So, what do you do after decades of chasing around the world writing about coups, terrorists, money launderers, genocide, elephant poaching, tsunamis? Sitting on the beach isn’t going to cut it. Buying a bookstore on the beach might. I have done just that. 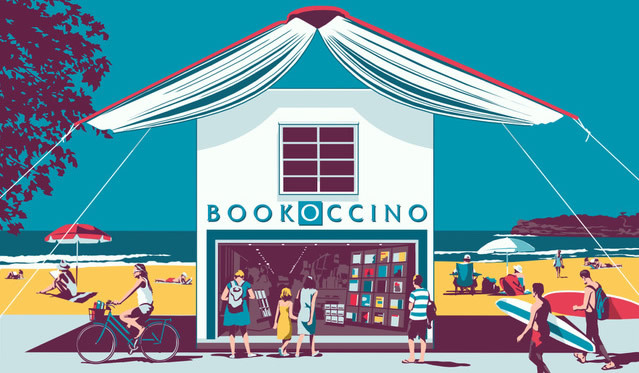 I bought Bookoccino, a small bookshop in Avalon Beach, a suburb in Sydney’s Northern Beaches. In recent days, more than newspapers, I’ve been reading architect’s drawings and local council regulations as I seek to add a small bar, turning Bookoccino into “Bookovino”. “You what? !” friends say when I tell them. Translation: “Are you insane?” A bookstore in the age of Amazon?! When I realised I couldn’t give a rational explanation, I summoned up my history. On the cusp of 40, I quit my law job (after Stanford Law School and the Marine Corps, I’d worked for Ralph Nader, among others), rented my house in San Francisco and went to Bolivia to try journalism. Bolivia! In other words, I don’t do the conventional. When I was posted to Indonesia in 2002 for the New York Times, I stealthily expanded the south-east Asia bureau to include Australia. Watching this week as prime minister Malcolm Turnbull fought for his political survival against coup-plotters in his party, I couldn’t help but recall with bemusement that during the five years I was writing about Australia, the country had one prime minister, John Howard, and he served 11 years, 1996-2007. Since then, the country has come to resemble postwar Italy: Scott Morrison, who ousted Turnbull today, will be the fifth prime minister in the past decade. It was during those early reporting trips that I discovered Bookoccino, a railroad car-size shop whose clever name reflects that it does indeed sell coffee — when it opened in 1992, the first bookstore in Australia to do so. 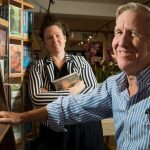 The owners, Margaret and Roger Hutchings, were targeting bookbuyers who “like to touch, feel and smell books”. The author Tom Kenneally, who lived in nearby Bilgola Beach, wrote in the guest book at the time, “unlikely as it seems, may you make a bloody fortune, selling us our dreams”. After only a few months, I have to confess I went into this eyes wide closed. I hadn’t thought much beyond “I love books”. There are lawyers and landlords, and because we’re moving locations (just across the street), builders, designers, and council regulations. “I just want to sell books,” I find myself moaning. 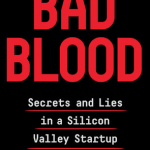 Fortunately, my business partner, Sally Tabner, worked at Bookoccino for four years, knows the business, and has the patience most journalists (or at least this one) lack. When I first talked to Sally about buying Bookoccino, she said she was not in it to make a lot of money, but because it fitted her lifestyle. She commutes to work — and takes her children to school — by boat, from their home on Lovett Bay. After school, she notes, her children can walk to the store (usually barefoot). Sally has been a champion of one big change in the works: a wine bar. No way, I had originally said. I bought a bookstore, not a wine bar. Then, Geraldine Brooks, the writer, who grew up nearby, said it was a “no-brainer”. We’ve applied for a liquor licence. So, it’s going to be “Bookoccino by Day, Bookovino by Night”. Amazon is increasing its presence into Australia, and I’m worried, of course. Anecdotally, I’m told it will take 5-10 per cent of our sales. Avalon attracts a creative crowd, and we’ve hired a boutique agency to design our website, and make it possible for people to buy from us online. On the positive side, I’ve had some exciting meetings with authors, publicists and editors and have been struck by a sense that we’re all in this together and must work together to survive. There is a thrill in talking to customers about what they like to read. I’m convinced that independent bookshops can survive by offering customers that personal touch — which means a knowledge of books. I’ve always been an avid reader. Now I get paid to read (more accurately, perhaps, pay myself), so that I can decide what to recommend (or not) to customers. If there is a positive side to getting older, it might be that you’ve accumulated a depth and range of friends. Longtime friend Geoffrey Robertson, the human rights lawyer, spoke about his new memoir, at the Avalon Surf Club. Wow, this is fun, I thought as I listened to Geoffrey, who grew up in Sydney before emigrating to London, captivate the audience over the sound of crashing waves. When I relate all this to friends, the reaction is no longer, “What, are you crazy?” Rather, more often, they now say, “What a life! I’m envious,” as one did. “This is Bucket List stuff,” wrote another. I don’t expect to make “a bloody fortune”. But I can go to work in shorts and sandals. Beats retirement. The writer is a journalist, author — and now a bookstore owner.